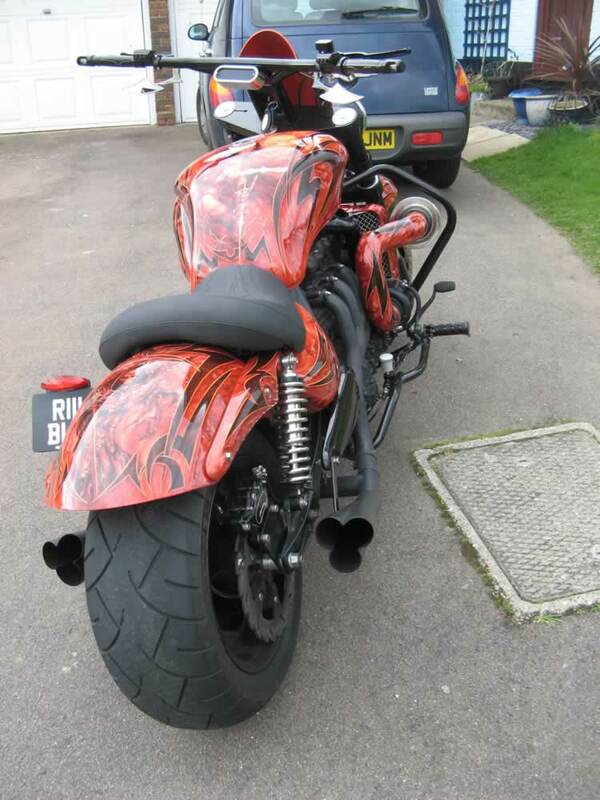 If you are looking for shy and retiring, best you look away now. 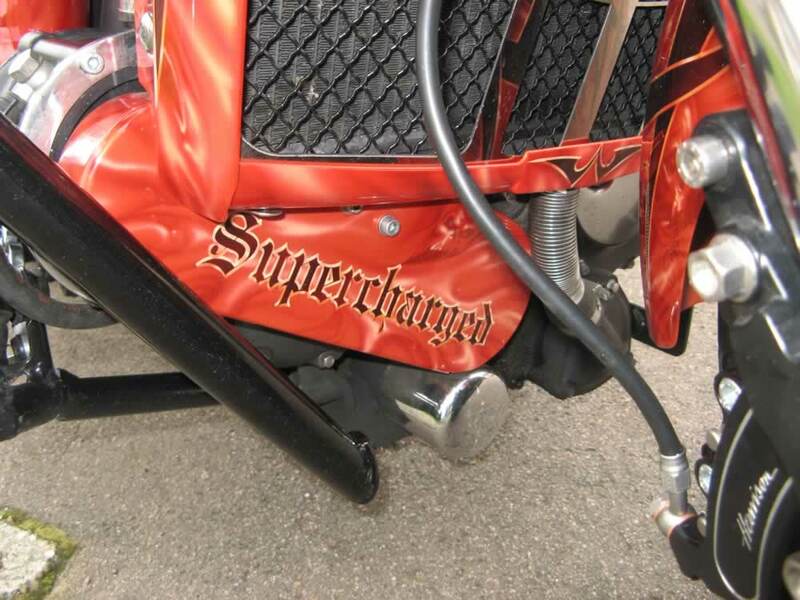 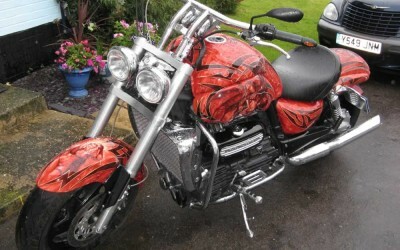 268bhp of supercharged Triumph with 240 tyres front and rear means that you need “Show” as well as “Go”. 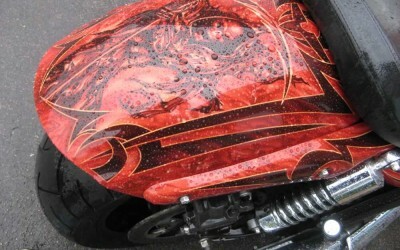 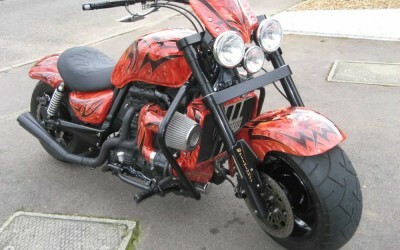 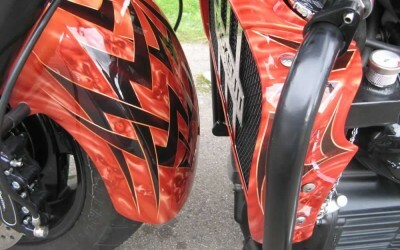 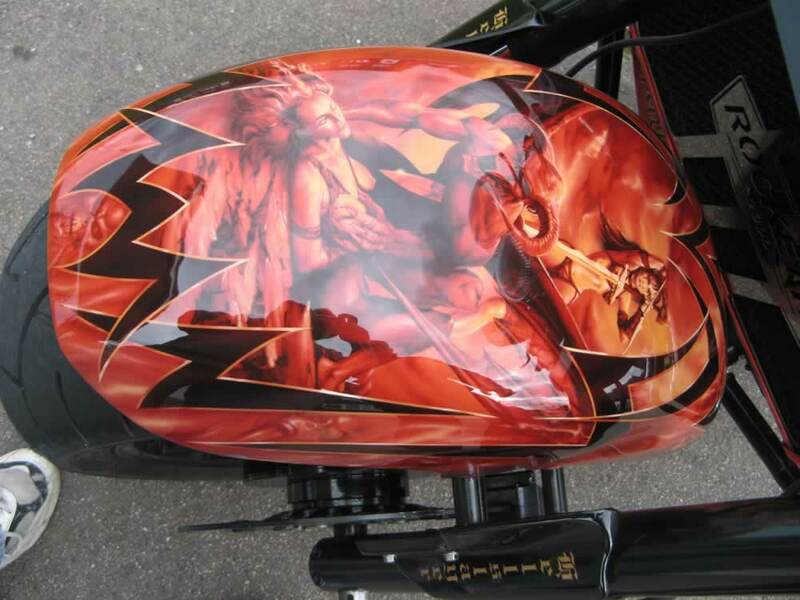 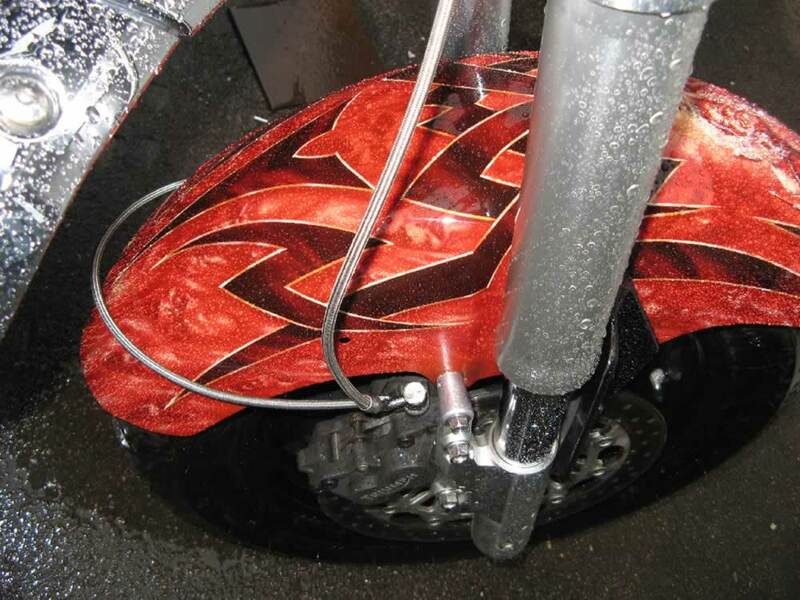 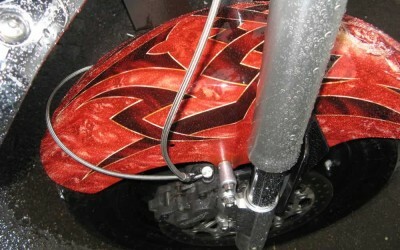 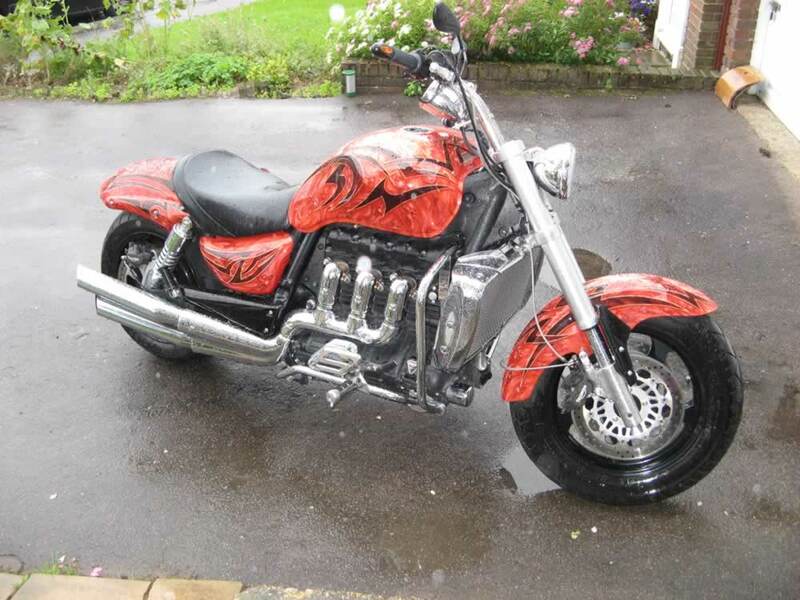 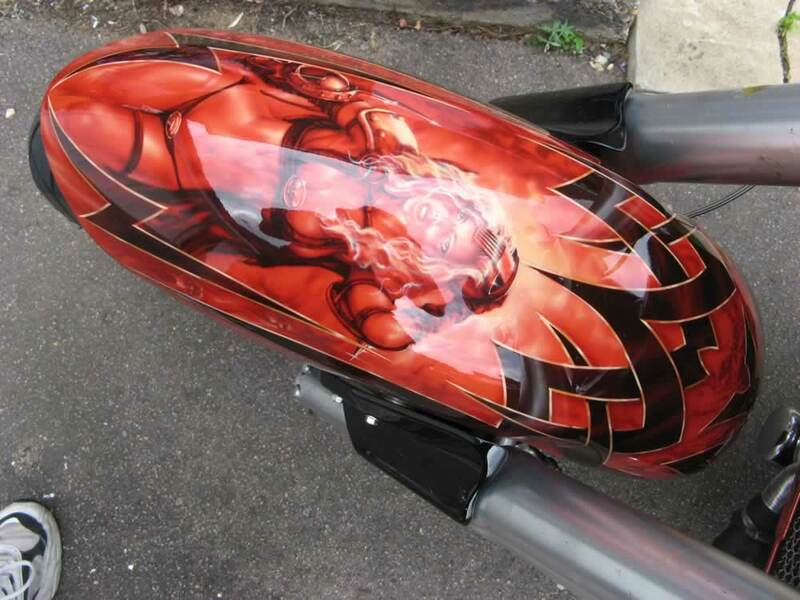 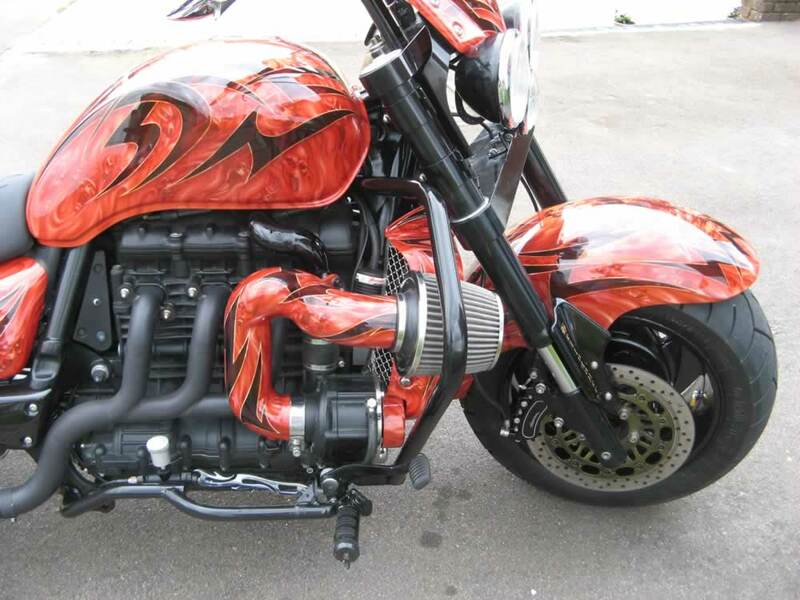 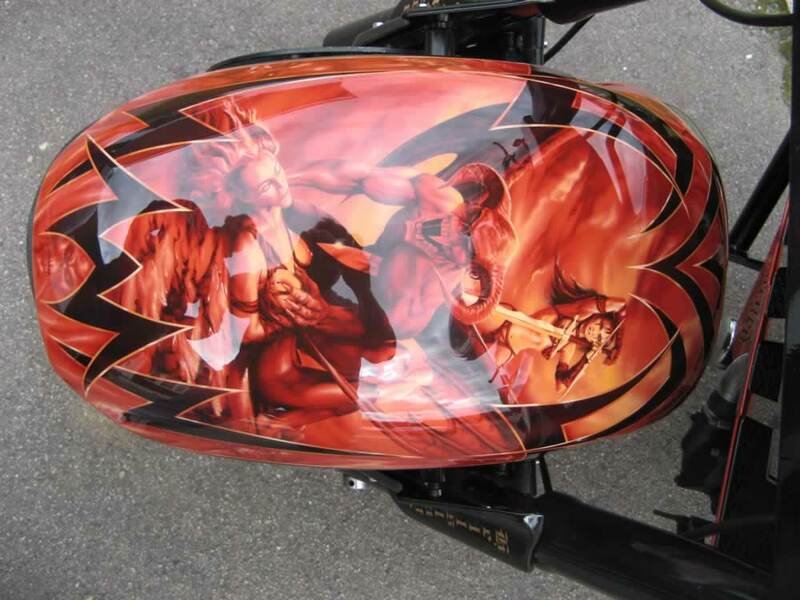 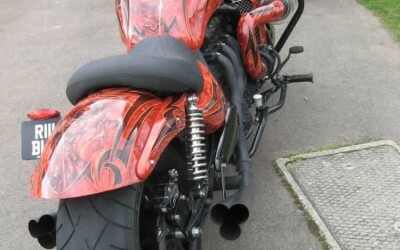 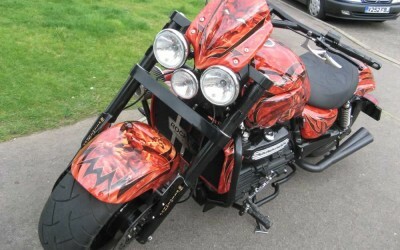 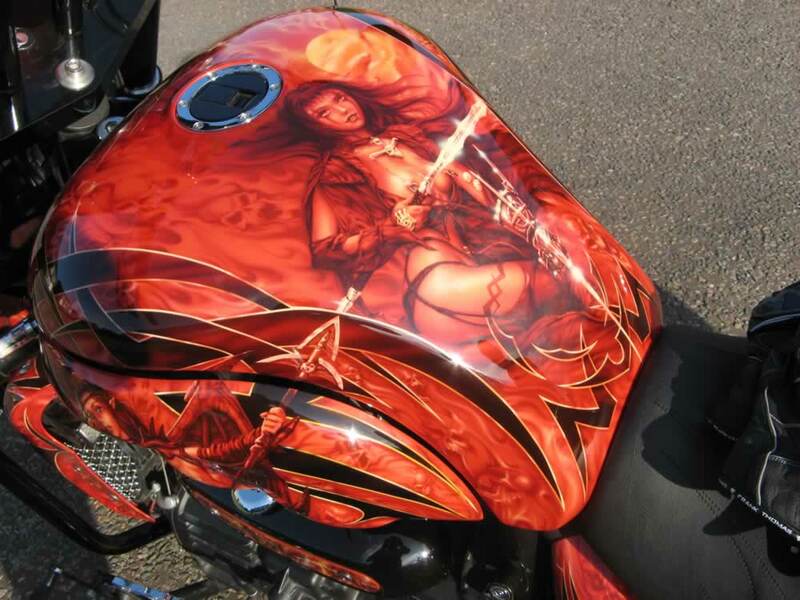 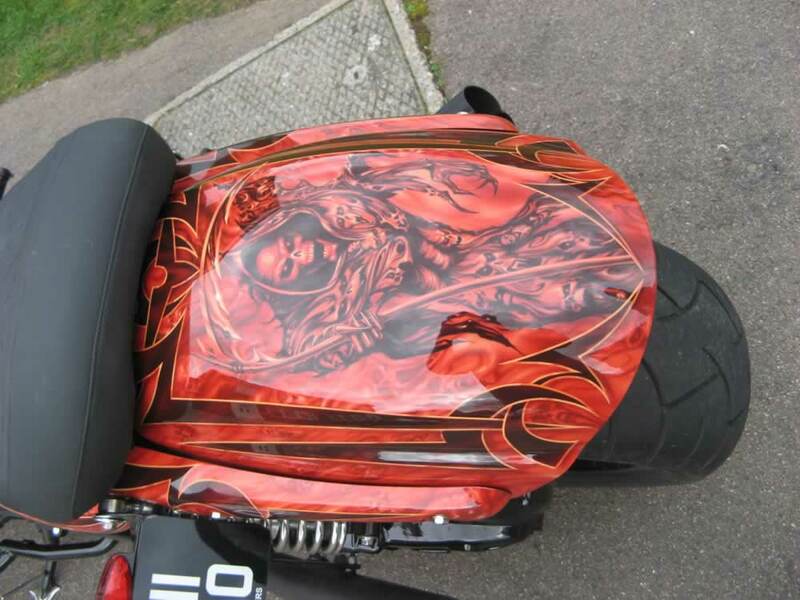 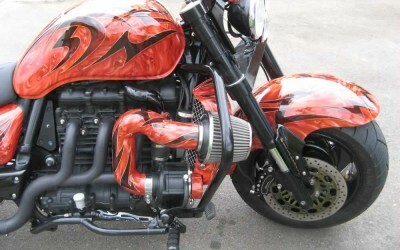 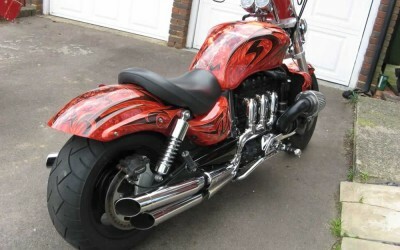 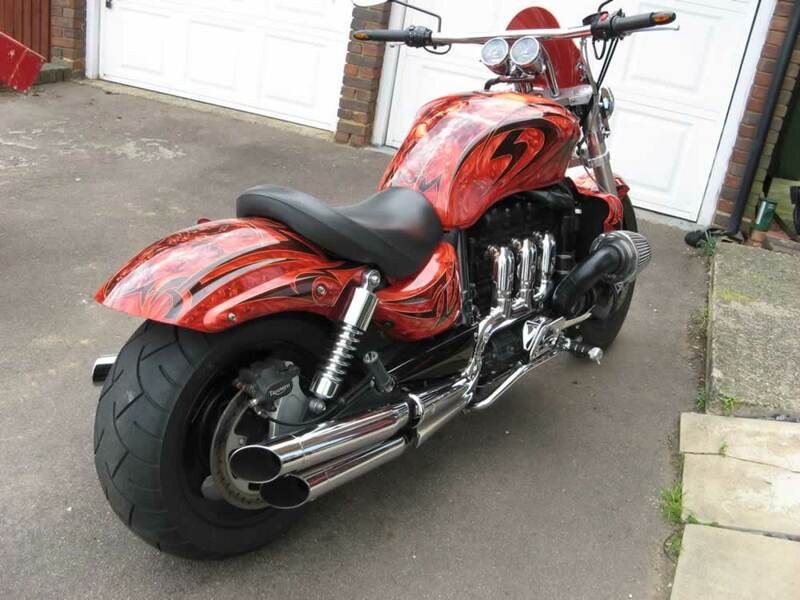 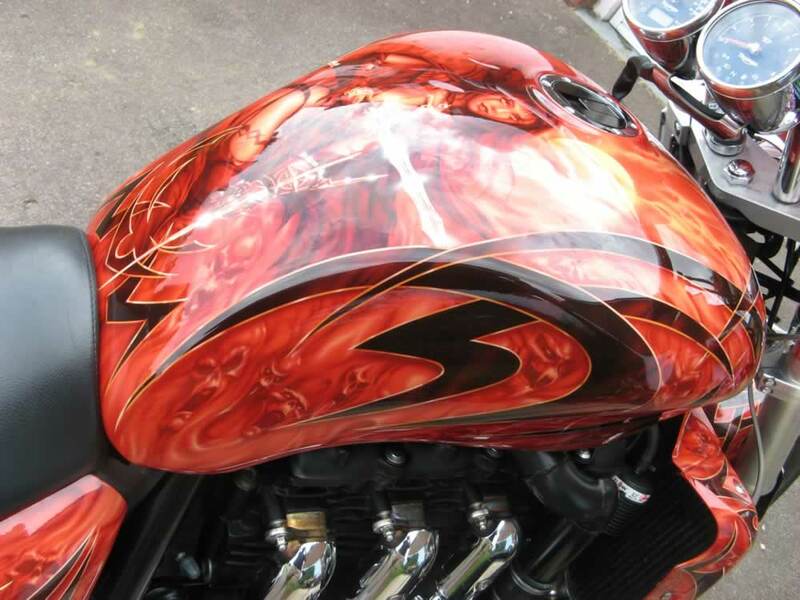 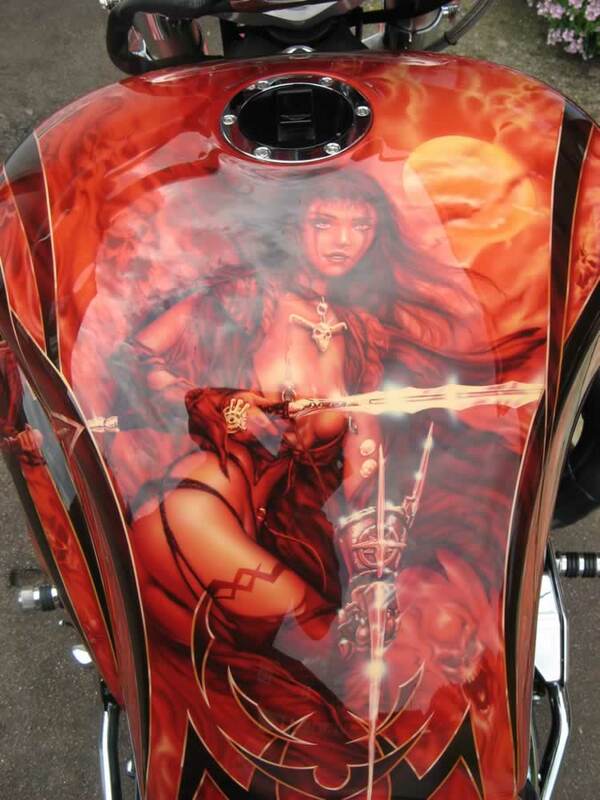 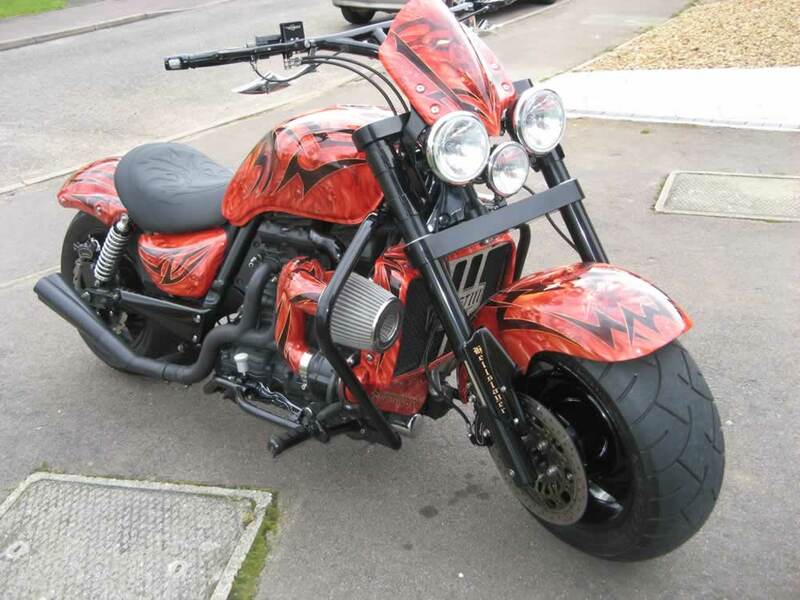 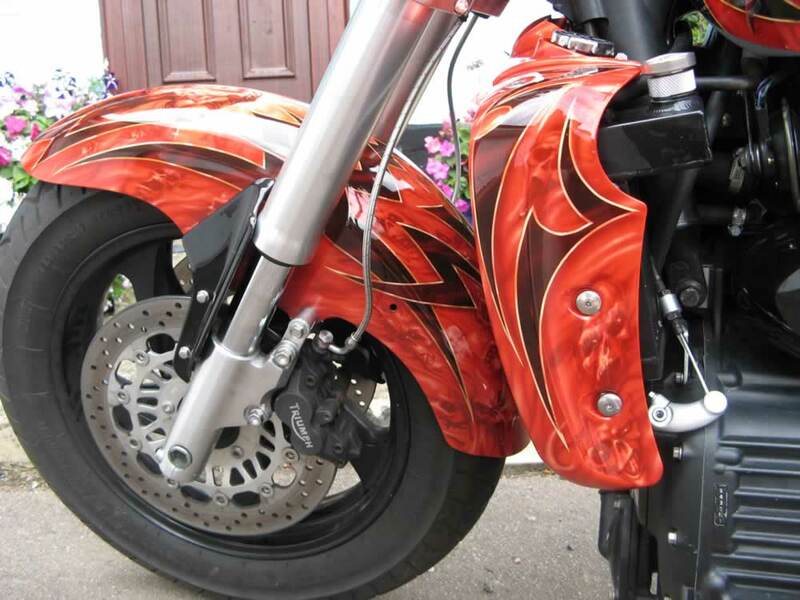 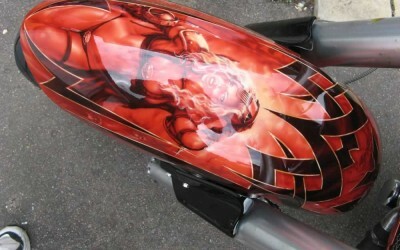 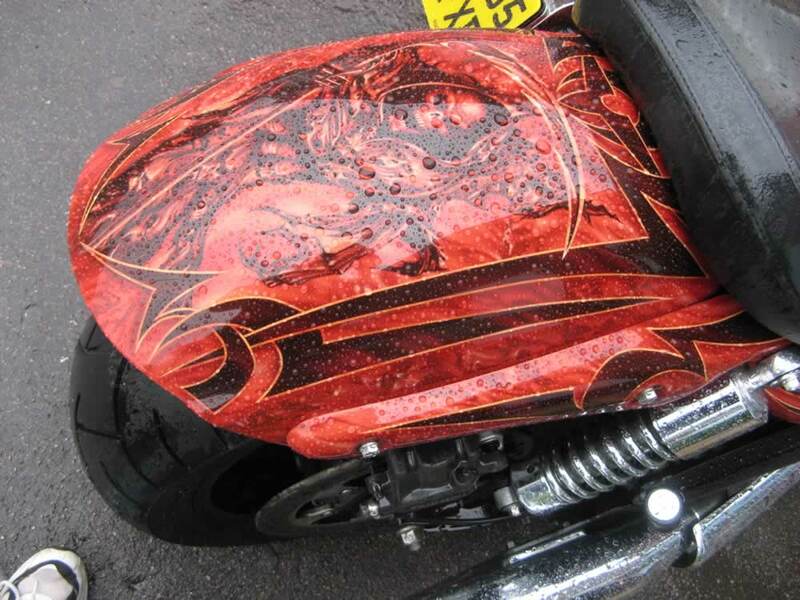 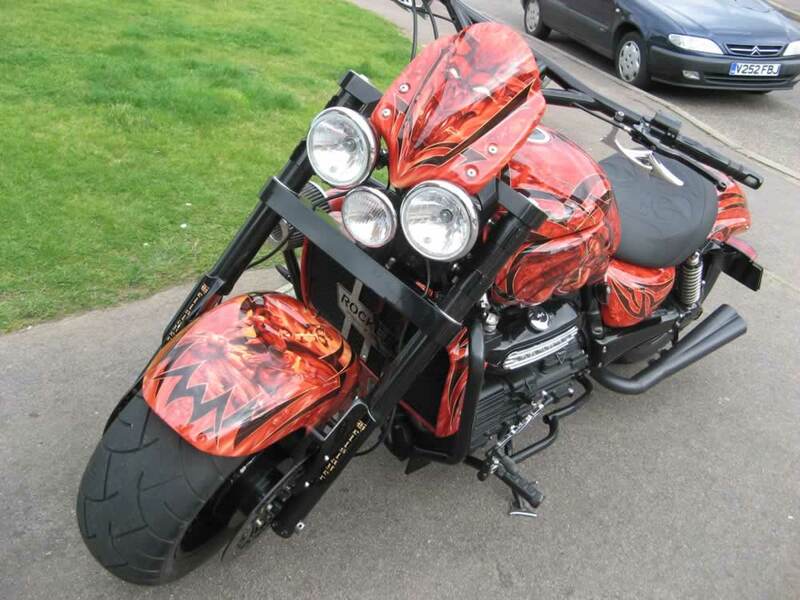 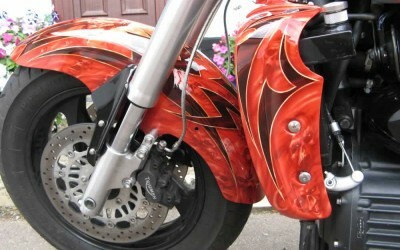 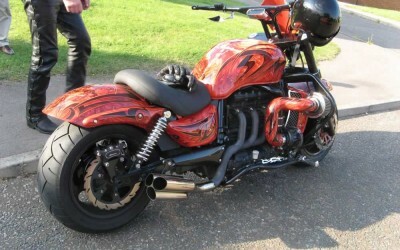 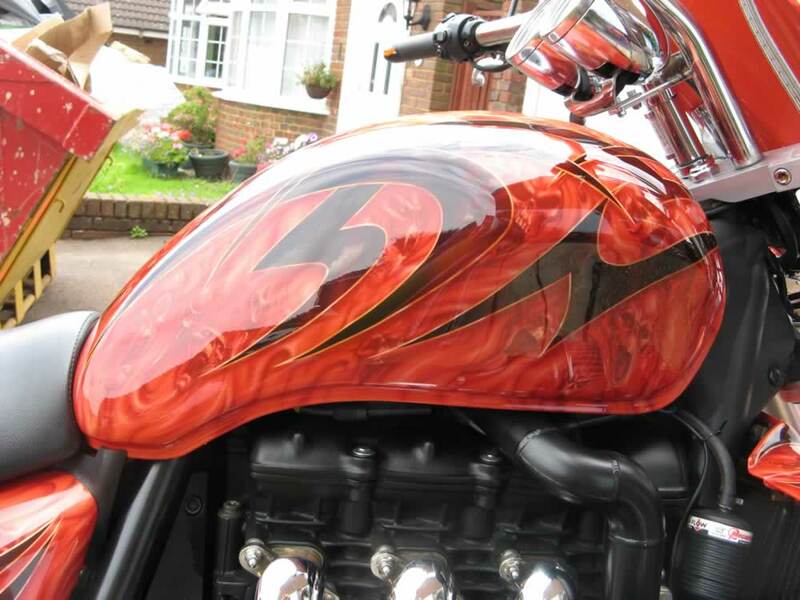 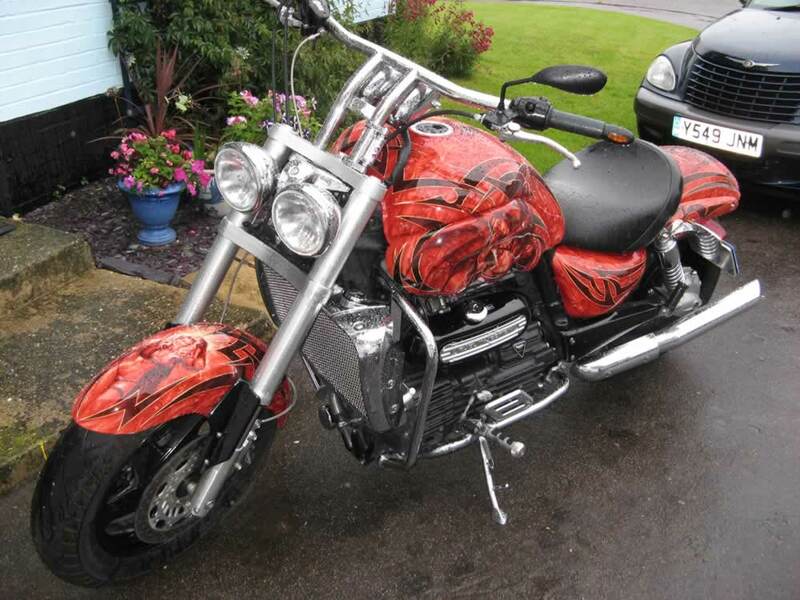 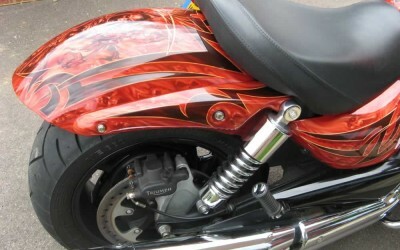 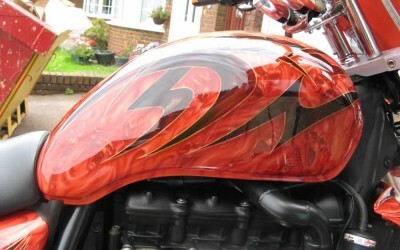 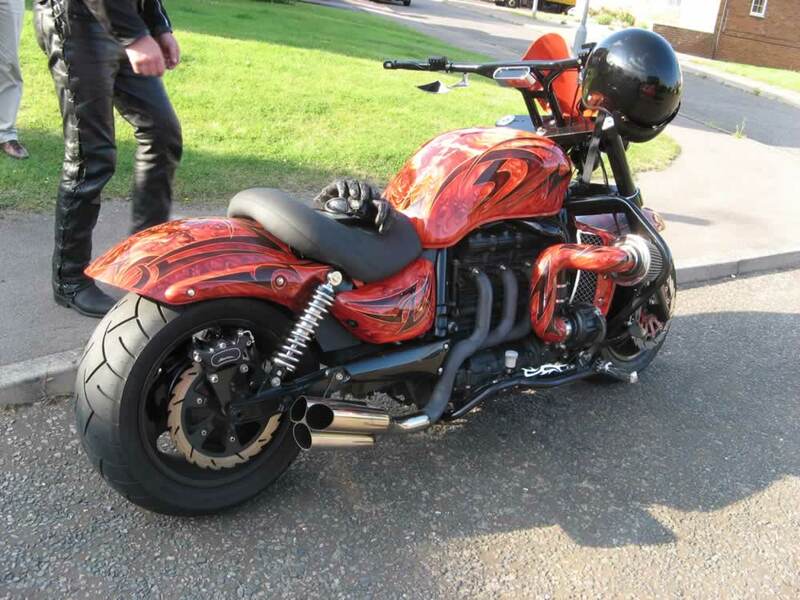 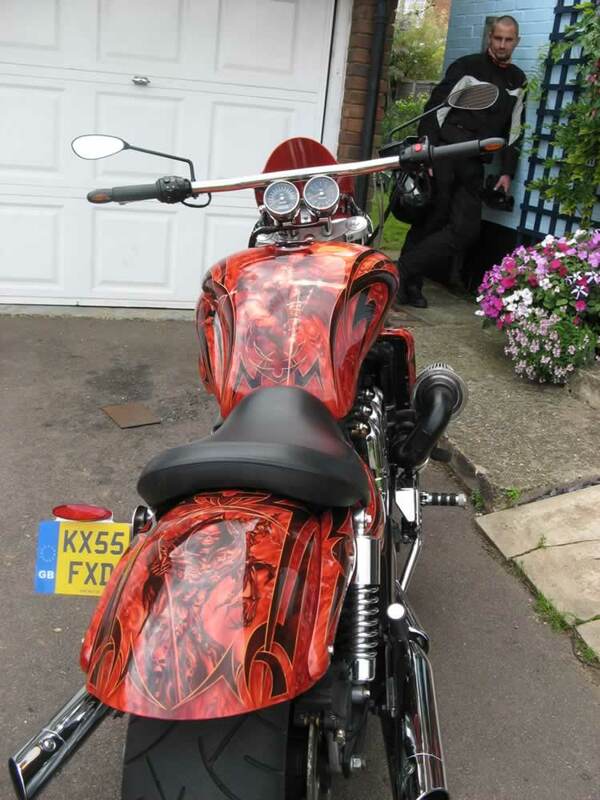 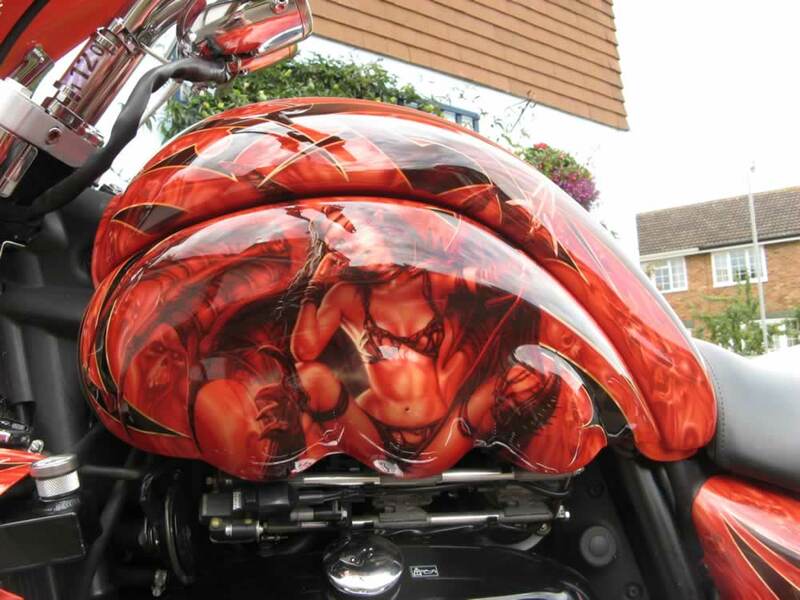 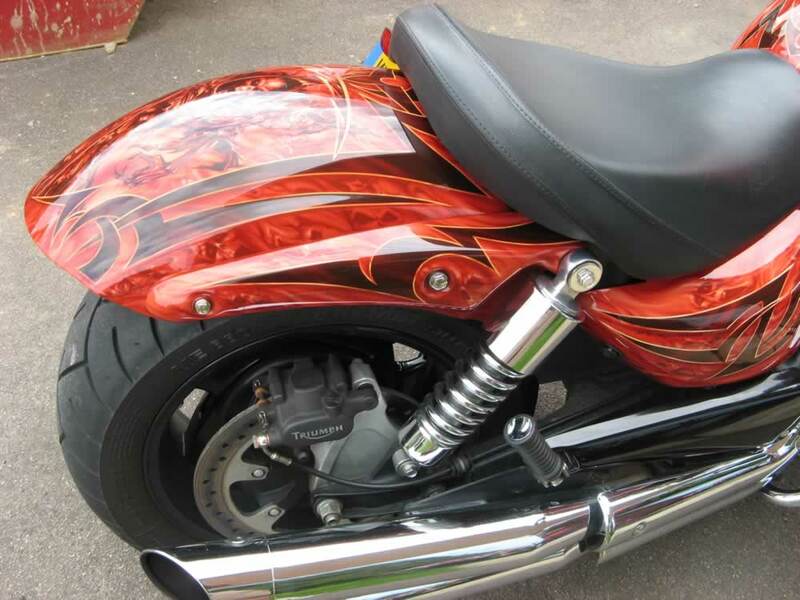 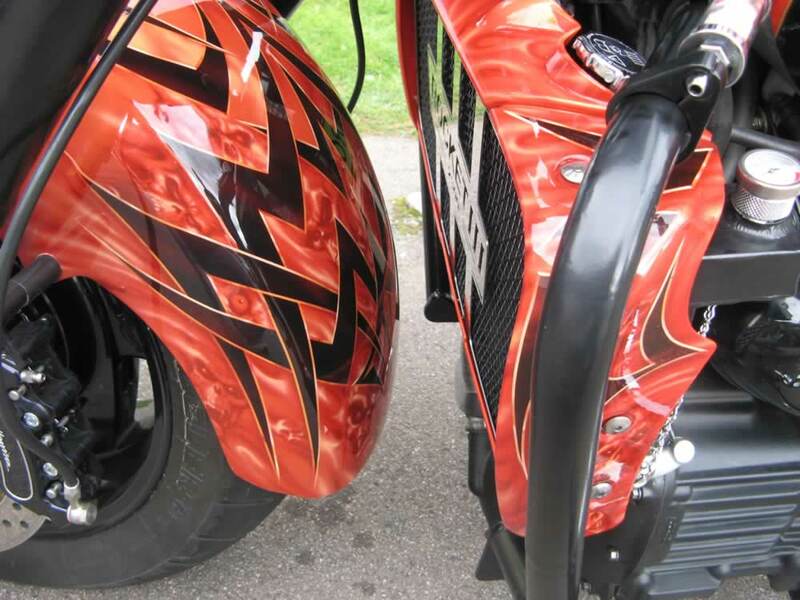 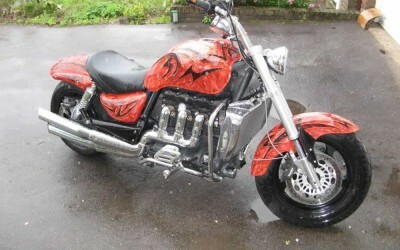 The Triumph pearl orange was retained, but then tribal designs and detailed fantasy murals catapult this bike into major show-winning territory. 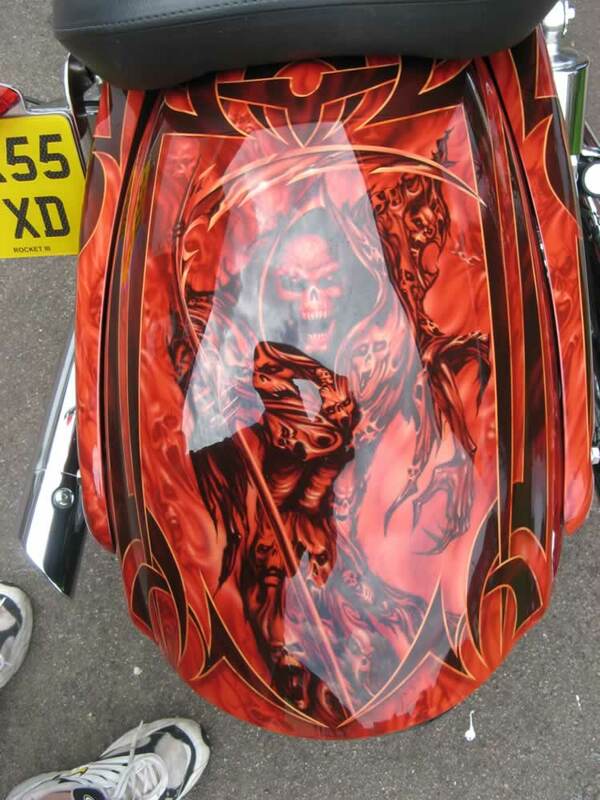 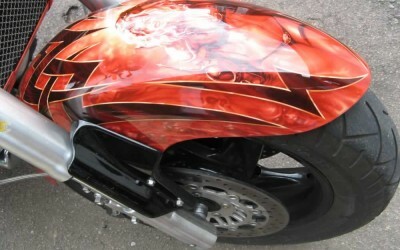 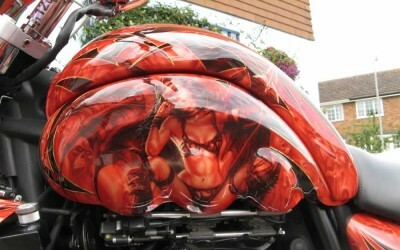 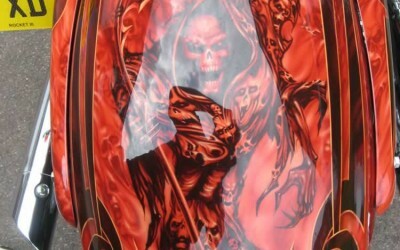 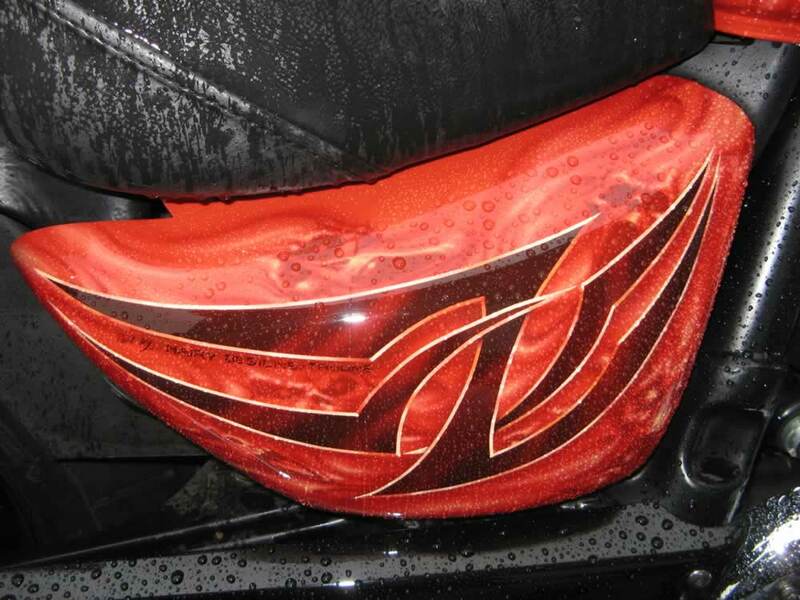 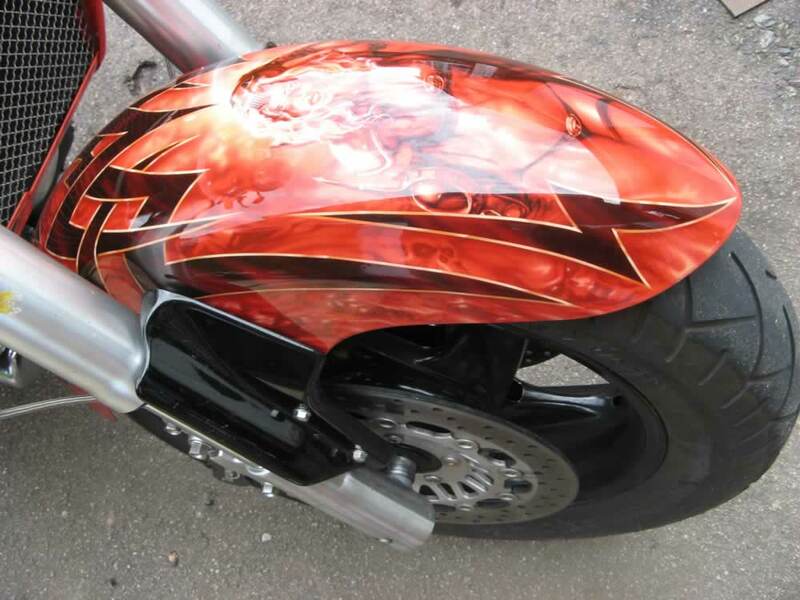 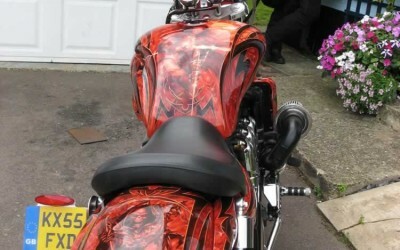 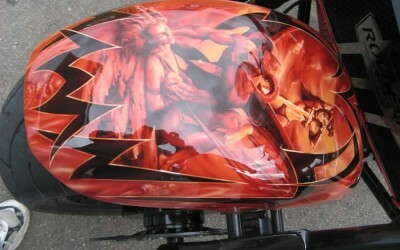 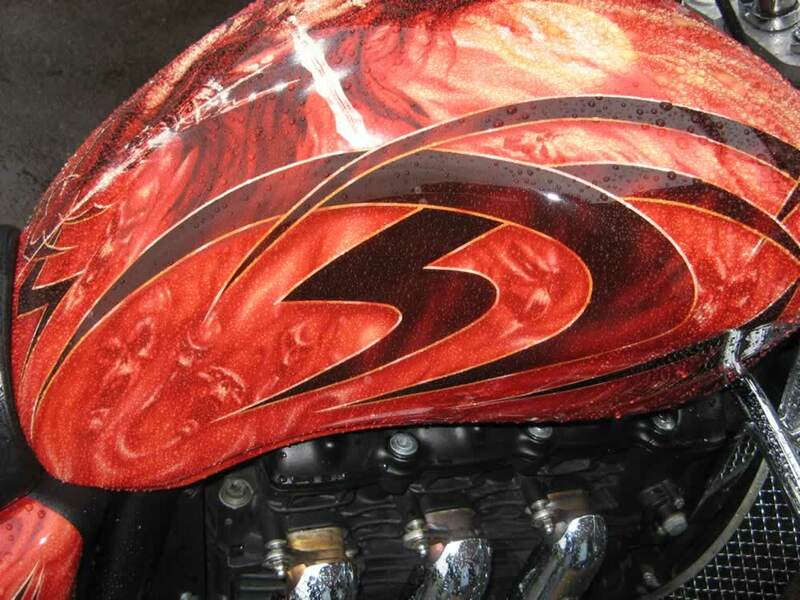 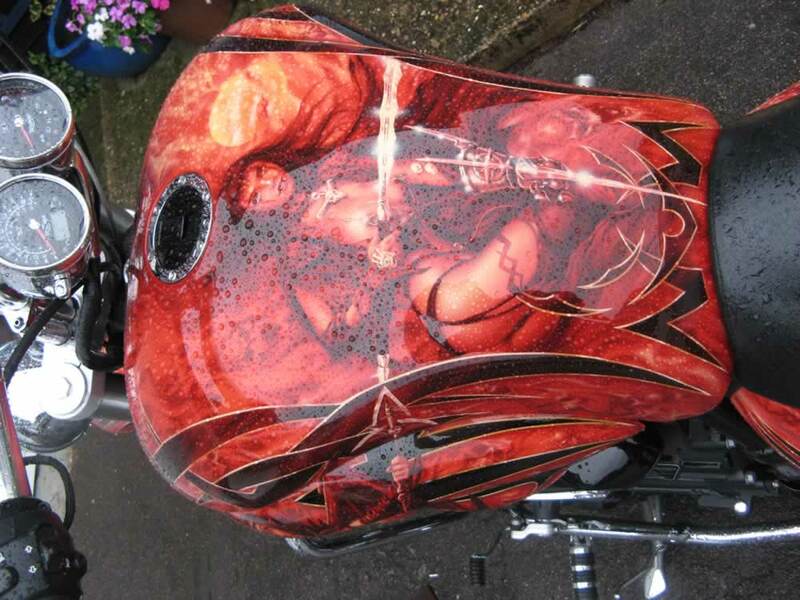 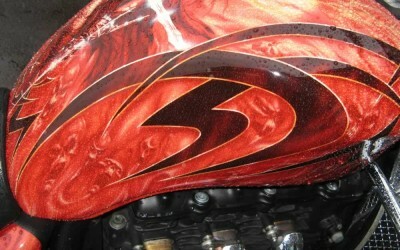 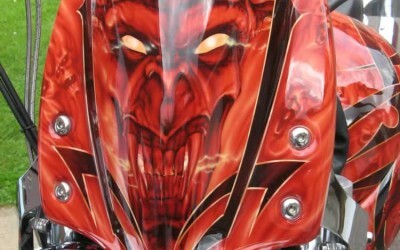 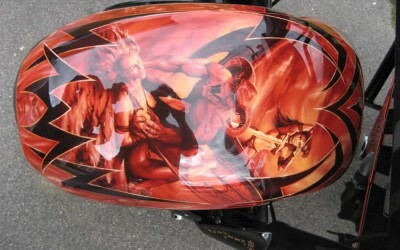 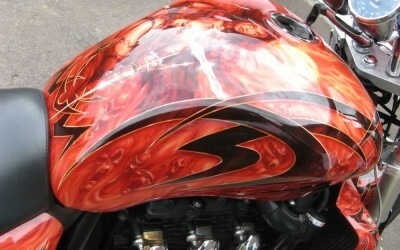 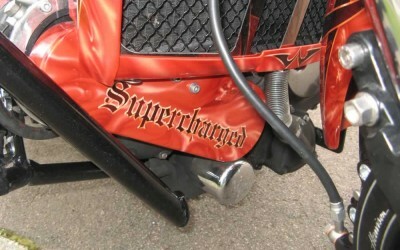 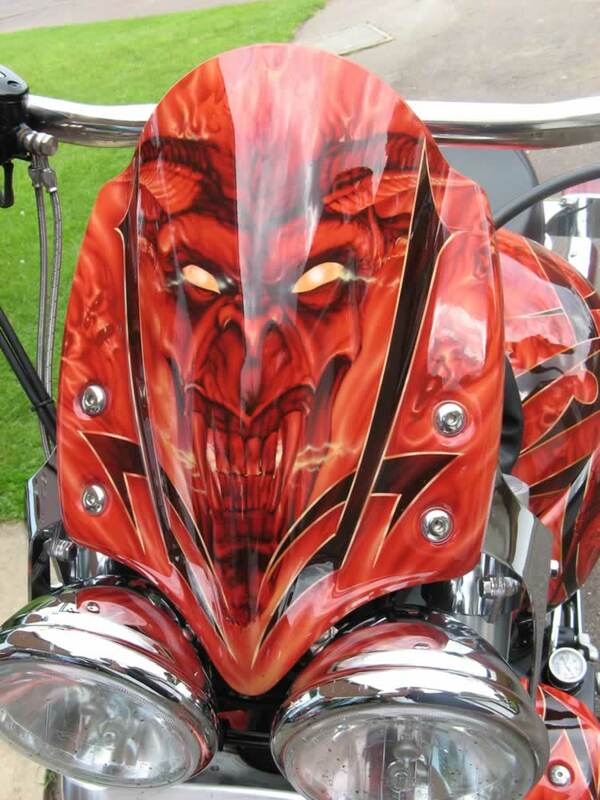 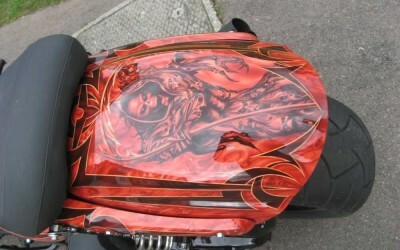 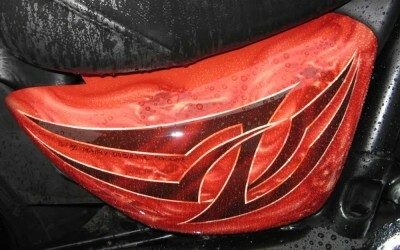 It also had me seeing airbrushed freehand skulls in my sleep.